Medinah is an unincorporated community located in suburban DuPage County, approximately 27 miles northwest of the Chicago "Loop". 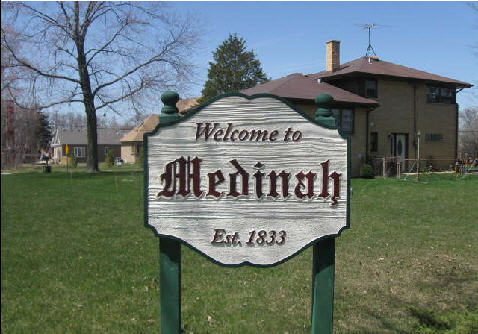 Medinah is situated between the villages of Roselle, Itasca, Bloomingdale, and Addison. The community center is located just south of the Medinah Metra Milwaukee District West train station at the corner of Medinah Road and Irving Park Road (Illinois Route 19). Medinah is home to the Medinah Country Club, which hosted the USGA US Open in 1990, 1975, 1949, 1946, and 1937. Medinah also hosted the 1999 and 2006 PGA Championships. The club is scheduled to host the 2012 Ryder Cup. Citywide Services provides residential appraisal service in Medinah, Il. 60157. Appraisals for divorce settlements, prenuptial agreements, estate settlement, bankruptcy, property tax appeals, bail bonds and for sale by owner. Our appraisers are state certified and have experience with single family homes, town houses, condominiums as well as small residential income properties. For all your Dupage County appraisal needs contact Citywide.